We offer a wide range of design services, tailored to suit your needs. Engaging a designer can be a daunting prospect. If you are unsure where to begin, a home visit can help to identify your needs. We come to your home and review the problem areas, from furniture and spatial layout to paint colour choices and soft furnishings. We suggest lots of ideas for your consideration. 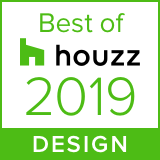 Drawing on our expertise we solve your design dilemmas, offering practical suggestions combined with designer flair. Prices start from €195 plus VAT. This service will provide you with a complete interior design scheme, from style and colour selection right through to flooring, furniture sourcing, lighting and soft furnishings. 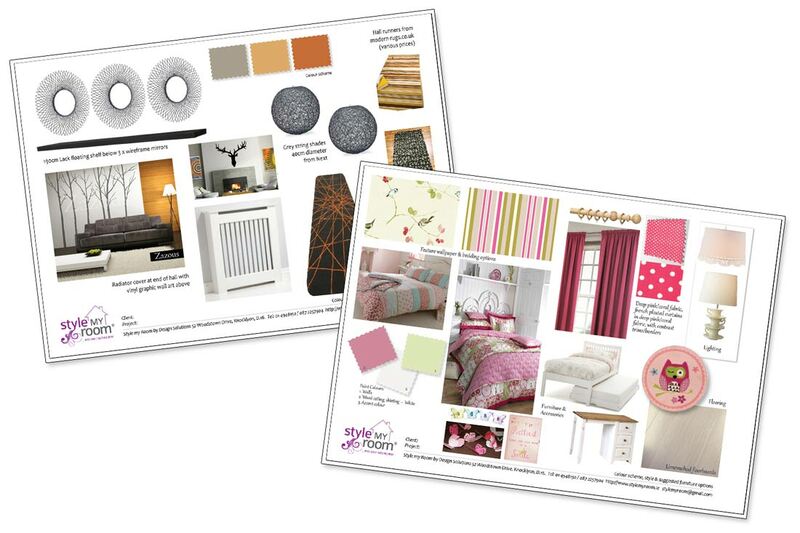 After discussing your particular requirements, we create moodboards to illustrate your proposed design. You are shown actual samples of the paint colours, fabrics and wallpapers based on your specific budget determined. We will recommend a number of tradesmen and suppliers should you require their services. Prices start from €495 plus VAT per room. 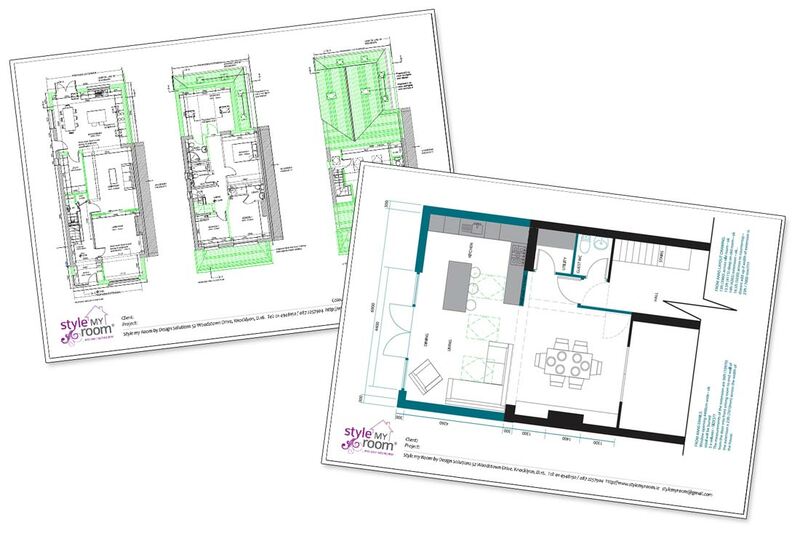 Please enquire about our project management service to ensure the final design scheme is carried out to the highest standards. This extra level of service is sometimes required for more ambitious design schemes. 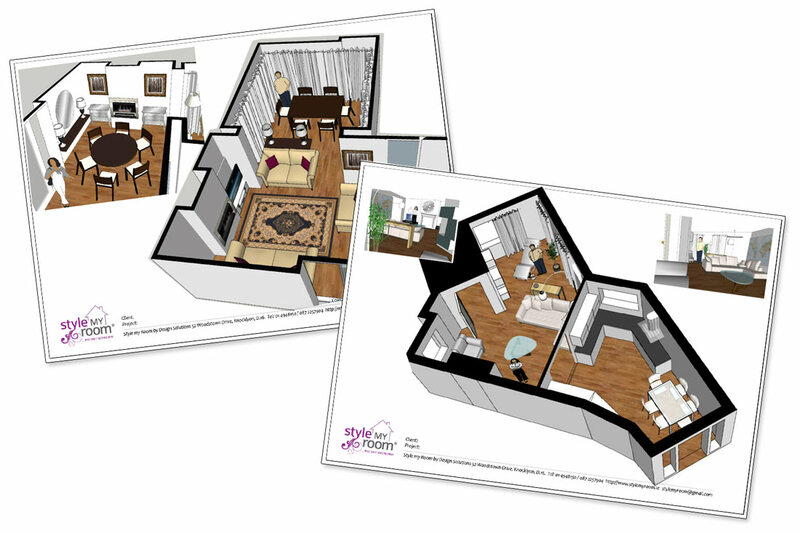 Should you wish to visualize your full design, we can survey the space and draw up dimensioned floorplans. We then create 3D visuals showing the proposed design from various angles. Contact us for pricing information. We have access to an extensive range of fabrics and wallpapers of all price ranges. We also supply and fit blinds, headboards and curtain poles. We are happy to advise on curtain choice and style as part of a room design or on an individual basis. Contact us for pricing information. We collaborate on an ongoing basis with tradesmen, architects and building contractors and are happy to work with you on projects of any size.